Two sisters must learn to make peace with the past--and each other. In the wake of the 2005 London bombings, Sara returns to her childhood home in Oxfordshire to find that her sister, Polly, has finally come back after being missing for over ten years. Why now--and where has she been? As girls, the two sisters could not have been more different--only perfect Polly could meet the exacting standards of their nanny, Bridie, while Sara lived in her shadow. But Sara had been heartbroken the day she learned that Polly had run away, leaving her behind. For Bridie, the news that Polly has returned threatens to revive a family secret she'd long kept hidden. Bridie cares deeply for both girls, and had done her best to raise them as if they were her own, but her own past always remained off-limits, to them as well as to herself. Now, all that may change. As Polly's return sets in motion events that will stretch the three women's fragile bond to its breaking point, all three must confront the weight of this hidden history. 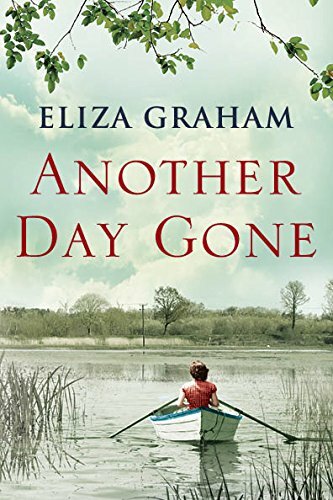 Playing out across three generations, Another Day Gone reveals the enduring consequences of violence--and the restorative powers of love and loyalty.